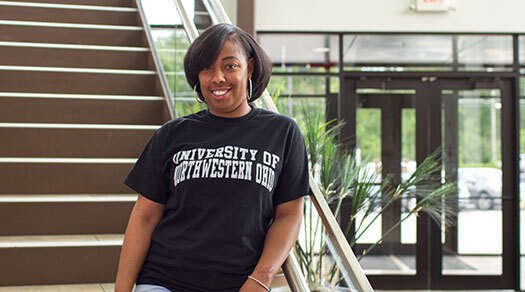 The Alumni Association initiates and supports a diverse range of activities to unite the students, alumni, staff, and friends of the University of Northwestern Ohio. It is the University's conviction there is no greater asset a university can possess than loyal and informed alumni. The Alumni Association exists as your connection to your alma mater. Alumni support important programs and scholarships while having the opportunity to enjoy a number of special benefits and discounts. Whether you are across the street or across the country, there are many ways to remain involved. Students are encouraged to network with the Alumni Association so we all benefit the University of Northwestern Ohio. If you have any questions, feel free to e-mail us at alumni@unoh.edu or write to us at the University of Northwestern Ohio, 1441 N. Cable Road, Lima, OH 45805. And by the way - please stop in for a visit. It would be our pleasure to arrange a tour or speaker for you and any organization that you feel would benefit from hearing about our vibrant university and dynamic organization. If you would like to register for the University of Northwestern Ohio Alumni Association, be an officer, or serve on an alumni committee please complete our online form. We can be reached at alumni@unoh.edu. By registering to become a member, you will begin receiving the alumni association newsletter. Thank you from the University of Northwestern Ohio Alumni Association. Now UNOH alumni are rewarded! Only Nationwide® gives UNOH Alumni an exclusive discount on insurance! On top of the exclusive discount, you can save up to 20% more when you bundle auto and home insurance! Save even more when you add Vanishing Deductible®! Learn more or call 1-866-633-5747. Nationwide may make a financial contribution to this organization in return for the opportunity to market products and services to its members or customers. Products Underwritten by Nationwide Mutual Insurance Company and Affiliated Companies. Nationwide Lloyds and Nationwide Property & Casualty Companies (in TX). Home Office: Columbus, OH 43215. Subject to underwriting guidelines, review, and approval. Vanishing Deductible is an optional feature. Annual credits subject to eligibility requirements. Max. credit: $500. Details and availability vary by state. Products and discounts not available to all persons in all states. Nationwide, Nationwide Insurance, the Nationwide framemark, Vanishing Deductible and We put members first, because we don't have shareholders are service marks of Nationwide Mutual Insurance Company. ©2013 Nationwide Mutual Insurance Company. All Rights Reserved.